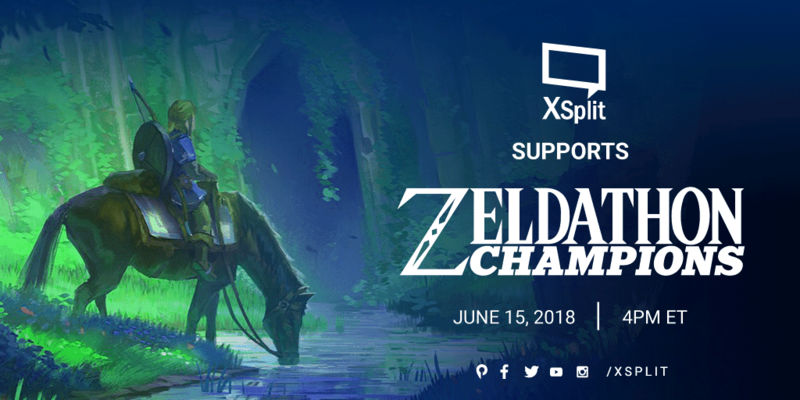 With XSplit once again sponsoring this year’s Zeldathon Champions, we thought it would be awesome to give you guys some insight about the event and the brainchild behind it, SuperMCGamer. Matthew Moffit aka SuperMCGamer is one of our all time favorites, not only because he’s been using XSplit since pre-XSplit days, but because he’s one of the best in the business. He’s part of our Elite Program and we’ve worked with him many times in the past (here's one). We decided to pick his brain a bit ahead of Zeldathon Champions and here’s the exchange. SuperMCGamer: I am MC, I am the Executive Director of Zeldathon. I also work on various other charity projects such as Direct Relief Gaming. SuperMCGamer: Zeldathon started back in 2009. After watching a group called The Speed Gamers streaming on Ustream for charity, I worked with my friend Zak to start Zeldathon. We played Zelda for 36 hours on a under-powered laptop and raised just over $300 for Child's Play Charity. After that, we just kept trying to improve, buying new technology, bringing in more entertainers, and working to get better at our games. Now, we've raised nearly two million dollars for charity, and are heading into our 22nd event this June. What’s the most rewarding thing about running an event like this? SuperMCGamer: Every event, we keep learning more about production and how to make our event something that is appealing for everyone to watch. But more than that, we keep hearing from charities how surprised they are that gamers can bring so much money and awareness to their cause. It's really rewarding to hear that we are not just changing entertainment, but how non-profits fundraise on a high level. You’ve been using XSplit for a long time. What are your favorite features? SuperMCGamer: XSplit has been instrumental in making our events as amazing as they are. The infinite scenes that were added have allowed us to not fuss with multiple files and we can contain our entire event in one UI. If we ever need to make adjustments on the fly, the Preview Editor and Split View features have helped us keep a high production value by avoiding editing live. However, overall, our favorite features are just the great options on every source. The quick adjustments and settings for everything really allow us to make an experience that is all our own. What tips can you give aspiring streamers who want to be like you someday? SuperMCGamer: Any streamers out there trying to build an event need to remember to never settle for what they have. Constantly look into how to improve your event. Microphones, cameras, overlays, entertainment, game skill. Everything can be improved over time, just keep at it and don't worry about the numbers. Have fun with it. You can support Zeldathon by spreading the word on your stream and social media channels. It begins on June 15th 2018 and will be live streamed non stop at twitch.tv/supermcgamer.